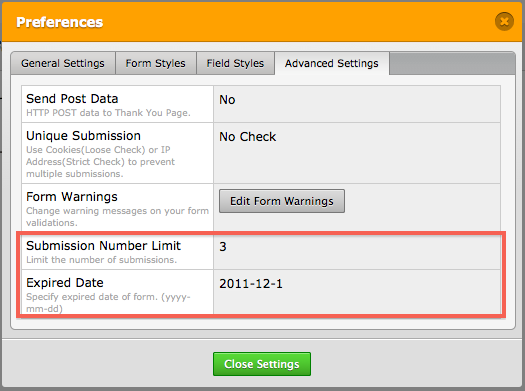 In a future update, can you add a feature to custom limit the total number of registrants on a selected form? Sure! This is already in our list since it is asked by several other users in the past. Feature has been implemented so this is possible anymore. You can customise it on Preferences->Advanced Settings. If form reaches full capacity, the form is disabled automaticly.